It is estimated that each gray squirrel buries at least 1,000 nuts every fall, possibly as many as 10,000 nuts in one season. The squirrels can bury the nuts several inches deep. They locate their stash of nuts by smell, and are able to find nuts hidden under a foot or more of snow. 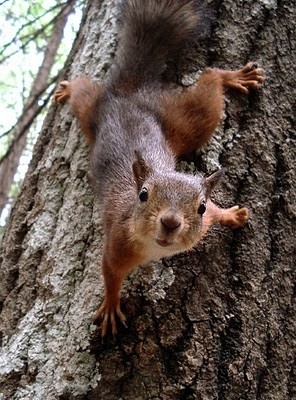 Because they sometimes forget where they have put them, it is believed that millions of trees in the world are accidentally planted by squirrels.